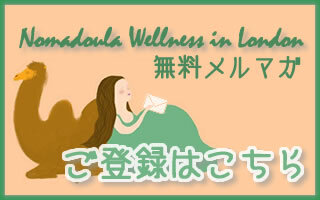 2005 SAT Basic Skill of Active Listening Proficiency Test administered by the Academy for Health Counselling, Japan. 2006 Certificate of attendance for Basic seminar for non-health professionals of Anatomy and Physiology (by Kiriko Wakutani, MD, IBCLC). 2007 Master of Science in Medical Anthropology, in the college of Humanities and Social Science (Anthropology of Health and Illness) from The University of Edinburgh. 2007 Certified by Adela Stockton as a Birth Consultancy Doula training programme, which included Breastfeeding Support and practice. 2008 Certified by SBTA (Scottish Birth Teachers Association) Teacher Training Course. Started to run natural birth courses at PPC (Pregnancy and Parents Centre used to be known as BRC at that time) in Edinburgh, Scotland. 2008 Certified as a Practitioner for administering Hands-On Therapy. Practitioner for Laying-On-Of-Stones and Laying–On-Of-Hands. 2008 Completed the 1st and 2nd levels of The Melody Crystal Healing Course. A certified master of Crystology. 2009 Certification for Birth Stories Workshops by WISE Women programme. 2009 Certification for Boundaries Workshops for birth professionals. 2013 Certified as a ‘BOLD’ method birth facilitator training. 2015 Certified Self Kinesiology Course. 2016 Certified for Recipes for Normal Birth Workshops by Sara Wickham. 2016 Certified ‘Cafekinesi’ (Kinesiology) Workshops.